Our service range includes a wide range of duct fabrication. 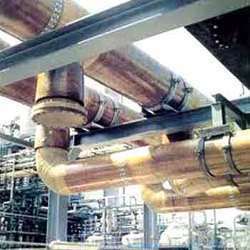 We offer an exclusive range of Duct Fabrication to our clients. These products are manufactured using high quality raw materials in the ducting process to assure sturdiness and durability. These are available with us in various sizes and profiles to be fit the requirements of different clients. Our range is also known as textile duct, textile ventilation, fabric duct work, flexible air duct, fabric air diffuser etc. Moreover, we use nanosox-S antistatic material to fabricate our range. Looking for Duct Fabrication & Erection Services ?